One of our favorite things about our visits to the Southern United States has been the food. Last night we were craving something with a Southern twist so we decided to make pulled pork ravioli with a collard green and peanut pesto. 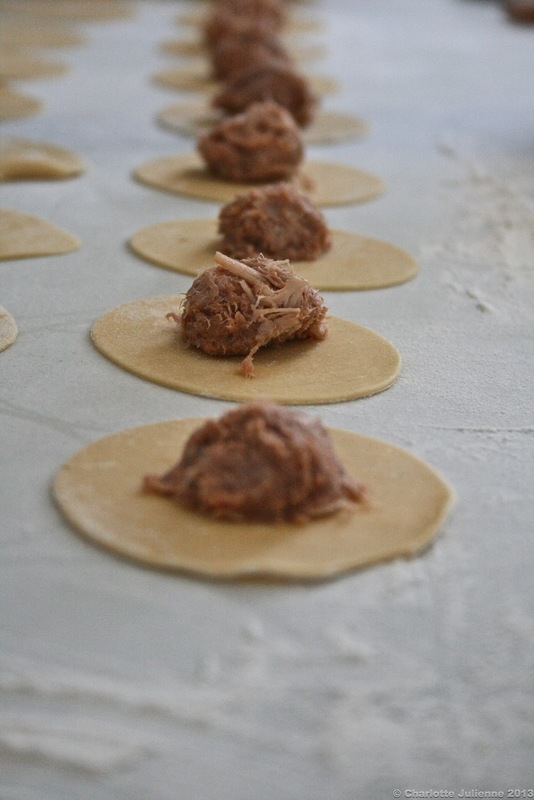 A while back we made some delicious pulled pork and froze a large batch to be used just for times like this. We really like to freeze certain staples. It makes the urge to have a quick yet delicious meal possible. 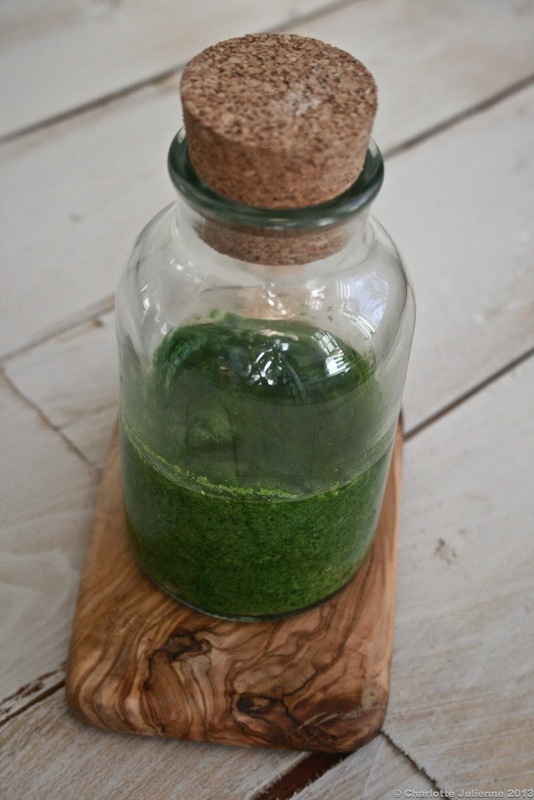 We began with the pesto. We shelled about a cup of peanuts and set them aside. 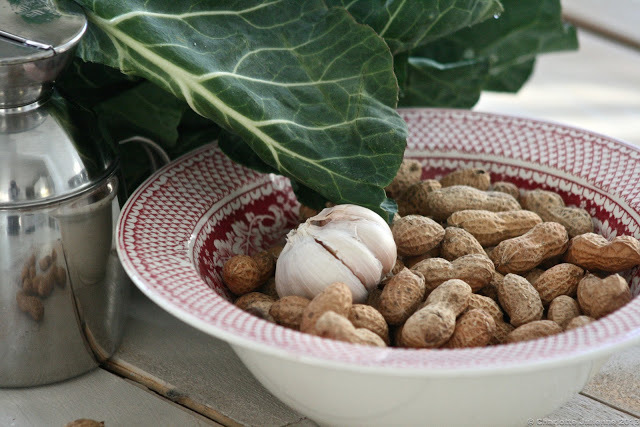 We added our collard greens (uncooked) to our food processor and then put in the peanuts. And gave it a whizz with a solid swig of olive oil. We added some salt and pepper and a splash of sherry vinegar. At this point we tasted it and decided it needed quite a bit more olive oil. Once it was nearly combined we added some parmesan cheese and whizzed it again. Now I know what you are thinking. Uncooked collard greens. Not happening. We did our research though and read that you could “cook” them by marinating them in oil. By making our pesto in advance the collards had a few hours to sit and ended up tasting fresh and like a bite of spring- if that is possible. We actually expected them to taste bitter but they didn’t. 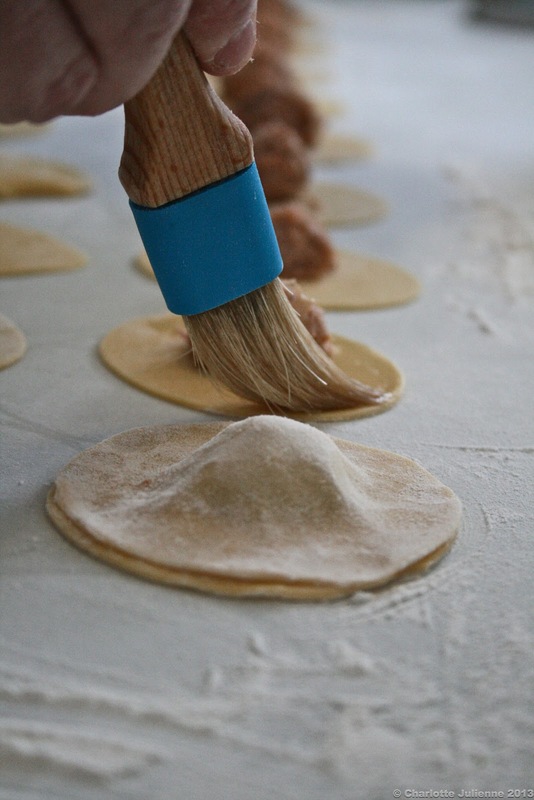 We took a simple pasta recipe and cut out circles for our ravioli. 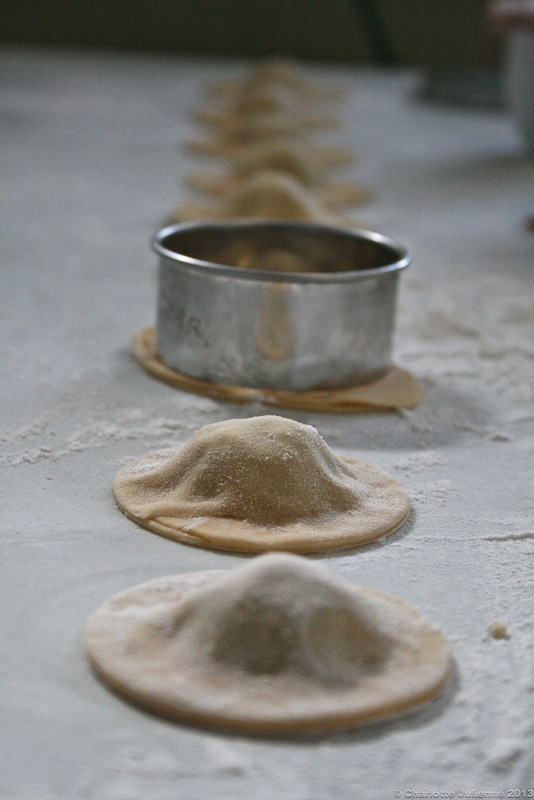 Earlier in the day we had been in a Williams Sonoma store where we were looking at ravioli cutters and decided against buying one because we were certain we had some at home…as it turns out we couldn’t find them so we resorted to our simple circles. We added a scoop of the pulled pork to each pasta circle. We brushed the edges with an egg wash and added the top piece. 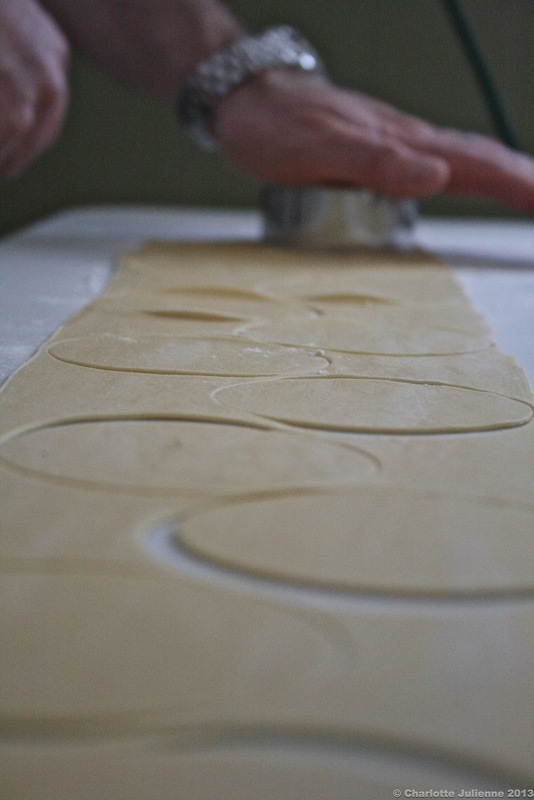 We then re-cut circles to seal the ravioli shut. The end result was really delicious. Despite the fairly large amount of olive oil, the collard greens tasted like healthiest thing we had eaten in a long time- and even though this won’t sound good, they were a little grass-like…but in a good way. They absorbed the oil and had a soft texture. There was a little crunch from the peanut which was lovely but in the end the main job of the peanuts were to provide the flavor. The barbecue flavor of the pulled pork was so yummy and worked well with the pesto. A great alternative to some of the heavier Southern dishes we usually make.